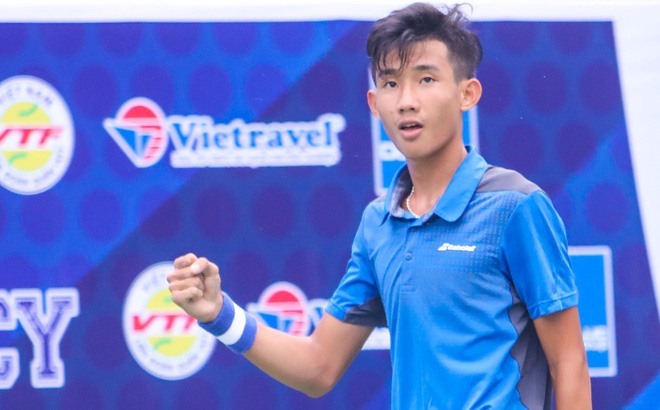 HÀ NỘI — Young Vietnamese tennis talent Nguyễn Văn Phương, 17, booked a ticket to the men’s singles quarterfinals of the Lee Duk Hee Cup in South Korea on Thursday. Phương, world junior ranking number 80, beat Cihan Akay of Australia, world junior number 272, 2-1 (6-4, 3-6, 6-4) in the international junior tournament. The Bình Dương–born player will meet Kang Wanseok of the host nation, world junior number 538, in the quarterfinals. In the men’s doubles category, Phương and Kim Dong Ju of South Korea upset the number two seed, Stefan Storch and Tom Sweeny of Australia, 2-0 (6-2, 6-4) in the quarterfinals.